There are many uses for carbon, especially in the fishkeeping hobby, yet itâ€™s often misunderstood, writes Nathan Hill. Hereâ€™s your chance to get to know this chemical element like the back of your hand. Look in your tank, it’ll be heaving with carbon. Look at the back of your hand, that’s carbon heavy, too. In fact, carbon permeates all aspects of our lives, from peanuts to pencils. It’s only right we should find many uses for it, and a lot of those uses are aquarium-based. Carbon is, in its simplest form, the chemical element C. If you know your periodic table, you’ll recognise it as the sixth element down the line. It’s naturally occurring, bountiful and incredibly useful. You’ll already be deliberately using carbon in some form, whether you like it or not. It makes up a vital ingredient in food, such as protein. Your fish will be breathing it out through their gills as carbon dioxide. Your plants will be guzzling it up as food to make sugars — C6H12O6. Carbon is absolutely inescapable. For the best part, most of us will know carbon as the black granular media we cram into our filters. You might have pads impregnated with it, or you might have a pack of it loose, ready to be loaded up into a mesh bag and dropped in the tank somewhere. That’s all well and good, but what does this kind of carbon do? How does it work? Carbon works on adsorption (not absorption), which is a way of saying it is incredibly sticky to certain chemicals. Once certain chemicals come in to contact with carbon, they are grabbed by it and retained — at least for a while. This is why the surface area of carbon is all-important. The more it has, the more waste it can hang on to. This is where activated carbon has the advantage over regular carbon, in that the activation process massively increases the number of tiny pores in it. Carbon is excellent at removing organic chemicals from the water. Now, don’t confuse organic chemicals with the three usual suspects: ammonia, nitrite and nitrate. These three are inorganic compounds, and carbon has no interest in them. If you’re adding carbon to deal with an ammonia spike then you’re barking up the wrong tree. The two chemicals that carbon excels at pulling from tanks are phenols and tannins. These are produced from a variety of sources, including the metabolic waste of fish, leaching from wood, the breakdown and decomposition of faeces, plants and uneaten food, and more. You’ll recognise them as chemicals that discolour the water, giving a yellow or brown tint, and in the case of phenols, emitting a 'tanky' smell as well. In this respect, carbon is indispensible in polishing the water and keeping it gin clear. For marine keepers, those phenols can play havoc with marine invertebrate growth, where for freshwater they’re more likely to build up and cause eventual malaise in the fish. It’s essential to get carbon in the right place in the filter as well. If it is placed too early then it runs the risk of becoming biologically active; that is to say that it will start to get smothered in nitrifying bacteria. If that happens, you lose surface area on the carbon and it becomes redundant. Even worse, when it comes to changing it, you’ll be pulling out a huge glut of your biological filter with it! The carbon should always be a polishing agent at the end of the filtration process, never at the start. If you have a canister then you want to go foams (mechanical filters) then biological media and then carbon, not the other way around. How much you need to use varies, based on your tank, the inhabitants and the quality of the carbon. The best carbon you can get has the highest surface area to volume ratio. If faced with a choice of a few varieties, opt to buy the one that boasts the most surface area compared to its weight. Some brands will happily advertise their surface area on the packet, and this is a good sign that they know what they’re talking about. In marine tanks, carbon is frequently utilised as a way of encouraging and feeding the growth of anaerobic bacteria. Anaerobic, heterotrophic bacteria — the kind that guzzle nitrates when there’s no oxygen around — require a carbon source in order to function, unlike the autotrophic bacteria in our filters that convert ammonia and nitrite. That carbon can take a few forms. Some newer products are appearing that use a starch as the carbon source (and with excellent results, I add). The traditional method is to add a liquid carbon, namely alcohol, to the tank. The alcohol we have in drinks like vodka is ethanol — C2H5OH — which is just right for the bacteria to use. It might seem odd, but, yes, adding the correct amount of vodka to a marine tank with plenty of live rock will reduce both nitrates and phosphates. Different aquarists have had successes with different rates of vodka dosing, but methods that have worked have involved between 0.1 and 0.9ml of 40% alcohol vodka per 100 litres to a tank daily. Of course, vodka isn’t the only way to get carbon into a tank, but it has given good results so far. Some aquarists have experimented with other ‘everyday’ sources such as vinegar, rice and sugar. The angle here is that these methods introduce carbon to the water column. The catch with that is that there’s every chance an overdose will poison fish. Uh oh. That doesn’t spell the end for carbon dosing. In the wake of dangers presented by liquid carbons, the market has increasingly steered towards solid carbon sources, namely starches and other carbohydrates, or ‘dry vodka’ dosing. Don’t be deceived by the 'vodka' part in this latter claim, as vodka is not an ingredient at all; it’s just a direct reference to the fact that it’s doing a similar job to vodka dosing methods. Solid carbon reverses the roles a tad, and rather than bringing carbon to the bacteria (who usually live in rocks or substrate), this method entices bacteria to grow directly on the carbon source. Most solid carbon methods employ the use of a reactor, which is a large tube through which the water from the tank passes over the carbon filter medium. This has the effect of tumbling the media and keeping it in suspension, and as the carbon then develops a film on its surface — made up of nitrate and phosphate-guzzling, carbon-hungry bacteria — this tumbling action knocks the excess biofilm off. The film now comprised of bacteria and fixed waste, is then either removed through the action of a protein skimmer or is even consumed by corals and other invertebrates in the tank. Flow rate is essential when it comes to solid carbon dosing. Too fast, and the filter doesn’t become established; too slow, and everything gets smothered in biofilm. Solid carbon is still a fast growing part of the marine fishkeeping hobby. Carbon is essential for plant growth, but it needs to be in the right form for plants to uptake. I’m sure most of us are well aware of what photosynthesis is, but to briefly recap it’s the action of plants that utilises water, light and carbon dioxide in order to create carbohydrates and oxygen. In the aquarium, carbon is added in one of a couple of ways. The preferable method for many is to add carbon dioxide to the water, through the medium of tiny bubbles until it forms a solution in the water. As humans, we guzzle down the stuff as the main ingredient in fizzy drinks: carbonated water. One alternative name for carbonated water is carbonic acid, and that’s one of the reasons why soft drinks are so acidic: because you’re literally drinking acid. 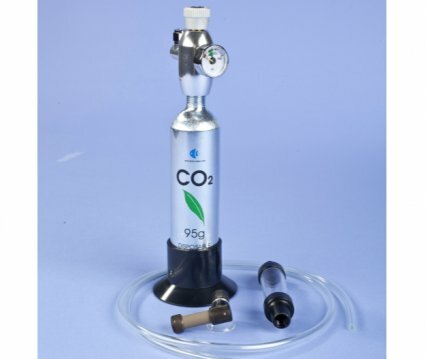 Add too much to the tank, and it’ll drop to dangerously low pH levels, which is why a thorough understanding of the use of CO2 in planted tanks is essential and why so many 'budget' CO2 kits can, in fact, be wildly dangerous. In absence of adequate carbonic acid, plants in tanks will try to find their carbon from elsewhere. Calcium carbonate, the chemical responsible for the alkalinity and carbonate hardness in your tank, is sometimes forcefully secured as an alternative source and can result in faint chalky deposits on plants. Carbon can also be added in liquid form, and the current vogue of plant growers is the use of glutaraldehyde, CH2(CH2CHO)2. This form of carbon is not without its risks. In fact, in its everyday use, it’s a steriliser for dental gear, a wart cure and a fixer for tanning leather. Overdose it and it’ll ravage fish and invertebrates. A carbon dechlorinator goes inline on your water supply. 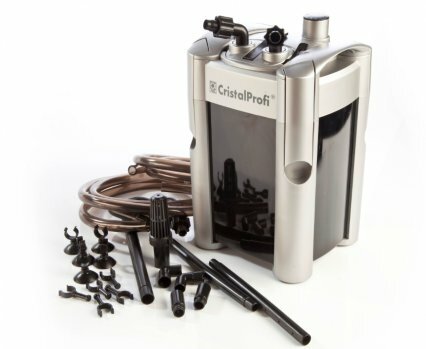 Some need to be permanently installed, which is great for domestic supplies as well as tanks or, if you prefer, you can buy units that simply go inline with hosing. Due to its adsorptive nature, carbon eventually exhausts itself when its entire surface is coated in waste. Anyone that tells you an exact lifespan for carbon is a barefaced liar, as each and every tank will have a different volume of waste inside it. In some cases, the carbon might be exhausted within three or four weeks. 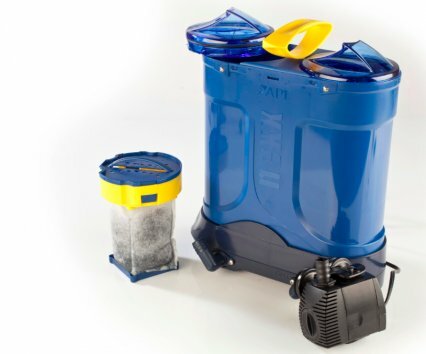 Most users will have it in their tank for up to six week stints at a time, after which time we generally accept that it can start to leach some of what it has taken out back in to the water. In that time, you’ll find that carbon is very good at removing chlorine; chloramine; phenols; dyes; some heavy metals such as tin, mercury and iron; and fish medications. Indeed, that’s one of the best reasons to have carbon on hand: to whisk out any accidental overdoses or to remove residual medication after a disease treatment. Carbon comes from lots of different sources. On a universal level, it is formed in the death throes of exploding stars and blasted out into space during their final cough. For aquaria, granular carbon can come from animal bones, peat, coconut shells, wood and bituminous or lignite coal. The source can have a big effect on just how good a carbon is in action. Effectively, all carbon is just charcoal taken to the next level by cooking it. To create carbon, these ingredients need to be heated to thousands of degrees centigrade, which gets rid of the impurities and chemicals you don’t want, as well as increasing the surface area. Surface area is essential, as the more you have, the more your carbon can interact with water and the more chemicals it can remove. For filters, it’s generally accepted that carbon made from bituminous coal is the best. In fact, it’s the choice of water purifiers the world over, and if you have a BRITA filter, then you can bet your boots you’ll have this kind of carbon inside it. Carbon dioxide is sometimes harvested from furnaces, breweries and other ‘recapture’ sources but is also the by-product of burning coke. It can even be made with certain chemical reactions, when acids meet base substances. The kinds of carbon found in solid carbon pellets are often specifically processed starches created in laboratory calibre conditions. Can carbon be reactivated in the oven? No. The myth goes that you can place your old carbon in the oven, turn it up to full heat for a few hours and the carbon refreshes. Unless you have an oven that goes up to 2,000°C or more and have access to facilitators like acid and oxygen, then it’ll do nothing. Besides, who can afford to run an oven like that with today’s energy costs? Didn’t you say it removes organics? What about trace elements? Admittedly, it’s not just organic chemicals that carbon removes, and as such it has been implicated as a cause of problems to some fish, even as the cause of a disease. It’s true that carbon is unselective in what it removes. But because of this, it’s had the finger pointed at it for removing trace elements and even micronutrients that fish need. One spurious extrapolation of this idea is that carbon might even cause head and lateral line erosion (HLLE) or hole in the head (HITH) disease. This was touted as mantra by many aquarists for years until further research suggested that it might instead be certain ferrous chemicals used in phosphate removers that were causing the problem. Either way, the amount of trace elements that carbon can be accused of removing leaves it off the hook when it comes to causing illness. Do I still need to perform water changes? Oh yes. Carbon is not a water change in a bag. Despite it pulling out some chemicals, especially dissolved organics, you will still have a build-up of nitrate and a depletion of minerals that need replacing. Yes, the one downside to activated carbon is that it will increase phosphate levels in the tank, which in turn is implicated in the boosting of many kinds of algae in everyday aquaria. Really cheap, low quality carbon, heaving with ash, will even boost pH in your tank, sometimes dangerously so. As luck would have it, you’ll usually find that these cheaper brands will also be the worst for leaching phosphate, so with carbon it’s often a case of getting what you pay for. If it looks too cheap to be true, it probably is. Whether a compound is organic or not rests heavily on carbon, though not without exceptions. Most organic chemicals that we can think of usually involve carbon in tandem with hydrogen. So, proteins (carbon, hydrogen, oxygen and nitrogen) and sugars (carbon, hydrogen and oxygen) are among the many organic chemicals that we come across. It’s not quite enough to class carbon as the single factor, however, and not everything carbon-based is organic. A diamond, for example, is pure carbon, but as inorganic as it gets. Carbon dioxide (carbon and oxygen) is another inorganic carbon form. There are even a couple of organic compounds that do not have the hydrogen bonding, yet they are still classed as organic. It’s rare that you’ll come across the phrase organic or inorganic carbon in the hobby, but if you do, just know that what we’re referring to is the presence or otherwise of both carbon and hydrogen in a compound! Thinking of getting an external filter? Want to know which ones to buy? Jeremy Gay explains what he expects of them and makes his recommendations. When I select an external filter for one of my tanks I’m clear what I want from it. It needs to come with everything I need, including filter media, and give me the pipework options to fit a wide range of different tank models. It should be straightforward to put together and should prime (fill with water and be ready to run) using a button within seconds. I don’t like too much specialised media design. I want to be able to fill my external with my choice of media — and I like the pump inside the head unit on the filter, not in the tank, so I can choose my pipework inlets and outlets. External filters are much better than they used to be and there aren’t many I wouldn’t touch. Comparing them can be interesting though, as some are manufactured in China and can be pretty similar although under different branding. Clever filters are all the rage, including those with microchips controlling the pump, although from the models I’ve tested I find too much computer-tech can be a turn-off when it doesn’t need it. Be it an '06, a G series or an FX5, you simply cannot go wrong with Fluval. I even cut my external filtering teeth on the '04 and '05s! I’d describe the FX5 as the 4x4 of external filters, being all terrain, having the most grunt, most torque and being able to handle more muck than any other external filter. Yet when you get that sizeable intake strainer out of the box and those 2.5cm/1” pipe fittings you realise you are dealing more with a monster truck than a 4x4 — and the big messy fish owners of this world simply love them. Before the FX5, big fish owners used pond filtration in various DIY formations. Now they all just use FX5s... Enough said. I changed that wording at the last moment, altering my Eheim recommendation from 'anything Eheim' to 'almost anything Eheim'! Instead give me an Ecco Pro or a standard Professional 3, or, better still, a Professional 3 thermofilter option, and I will surely feel in filtering heaven. The Ecco is super efficient, easy to open, clean and load with media and good value for money. The Professional 3 is everything you want from an Eheim — being large, sturdy, reliable, well built and having huge media capacity — and if I was to choose just one to see out my fishkeeping days it would probably be one of these. The largest model, the EX2400, is a bit noisy as it’s frankly huge, so if into the larger filter market go for the FX5 instead. The company has even reduced already low energy consumption of existing models and introduced even more efficient '01' models. TMC is the new kid on the external filter block and although I feared the unknown before using it I was pleasantly surprised. It looks good, feels quality and has a great big prime button. It has nice media options too. If you’ve a spare grand for larger models, get yourself an ADA Super Jet filter. There’s no prime button and no shut-off taps, but the Super Jet is a beauty, a design classic, and because of its looks and materials I will one day get one. Then all other thoughts of practicality or strategic buying patterns will go straight out of the window! This isn’t a filter to hide in the cabinet. It has to be in full view, complementing your home. It’s a statement to be made. What’s more, you don’t want one, you need two: the other to leave in mint condition for decades until ADA stops making them and then it could be worth thousands! ….is the Nexx external filter from Mars Fishcare. Many love this, even voting it freshwater product of the year in PFK’s most recent reader’s poll, but that pump in the main tank puts me off. PAR is the buzzword, even though most people donâ€™t know what it is. Coral keepers and plant buffs have an inkling, but itâ€™s a mystery for the rest of us. PAR stands for Photosynthetic Active Radiation and refers to a large portion of the light spectrum, including light between the 400 and 700 nanometres wavelength. Photosynthesis takes place within this range. Go any further into the red spectrum and light carries too little energy to be of use. Go into the blue and it’s too powerful — generally damaging to life. Some keepers assume that PAR readings, if high, will be good for all plants and/or coral. This isn’t necessarily the case. In order to photosynthesise, plants and corals concern themselves with PUR rather than PAR — PUR meaning Photosynthetic Usable Radiation. The two are not necessarily the same. For example, a light unit may deliver admirable readings of PAR, but it may be delivering 600-700nm wavelength and nothing else. If an organism hypothetically only uses light of 450-500nm, then they’ll not be getting enough to photosynthesise. Alas, measuring PUR is a bit of a non-starter. Unless you know the exact range of light spectrum a particular organism requires, it’s all a tad superfluous. Plus, measuring a particular PUR reading can be notoriously difficult and expensive. PAR is the more realistic and affordable option. Most chlorophyll activity of plants and zooxanthellae sits between the 400-500nm and the 600-700nm ranges respectively. To get the most from your light, you want not only something that gives good PAR output, but specifically output in these parts of the spectrum. The typical way PAR is quantified is with the formula µmoles/m2/s and usually what a PAR meter will read. This basically means we measure how many ‘bits’ of light hit a surface of 1m x 1m over a period of time. So, the further away from a light we get, the less PAR we will have — and that’s one of the reasons that a PAR reading of a light that fails to mention the distance from its source is immediately rendered useless. Based on this, and to give a comparison, a bright sunny day will give a PAR reading of between 1,000 and 2,000, moderate sunshine 250 to 1,000 and shade below 250. Indoors, in daytime with blinds closed, you’ll be lucky to get past 4 or 5. A 75w bulb at 60cm/24” distance will produce about the same. A 55w compact fluorescent bulb (6,700K) at 60cm gives around 20. We can suppose that, at the depth the plants live, 120-300 is a high reading, 80-120 is moderate, and 40-80 is low light. Many reefkeepers like to map out the PAR hotspots and shady areas in their aquaria. This way they know optimal sites for their corals, many of which have a hugely varied PAR requirement. Michael Barrett TMCâ€™s lighting consultant, steps into the firing line to answer some of your most frequently asked questions about this lighting range. You claim your tiles are as bright as a metal halide at a fraction of the running costs and heat, but I feel that an Arcadia series 3 will light a much larger area. How many tiles do you really need to have equivalent PAR over a large space as opposed to a halide? I used to light a 0.9m/3’ tank with one 150 metal halide. Now I'm using two AquaBeam 1000HD tiles and still don't have the light spread of the halide. The directionality of light from LEDs is a great benefit but can be a perceived disadvantage. We do not like comparing LEDs to other lighting sources as they are completely different, but the market dictates that we have to do so to describe what the light is like. Tests have proved that the Lux and PAR readings under an AquaBeam 1000 are comparable to a 150W metal halide lamp. However, a metal halide lamp has a wider spread of light due to the completely different nature of this technology. Unfortunately the wide spread of metal halides leads to wasted light because inefficient reflectors have to be used to redirect the light downwards. There’s also a great deal of light pollution into the surrounding area. We recommend that to light a 0.9m/3’ full reef, with soft and hard corals and clams, without having to worry about specimen placement would be at least three AquaBeam 1000 HD units. By using these lights you can make big energy savings by only providing high PAR lighting over the more light-hungry specimens. By replacing a 150W metal halide with two AquaBeam 1000s you have more than halved your lighting energy cost, and still sustain and grow corals under those lights. Based on what you have said, those tiles will pay for themselves within a couple of years if you also take lamp replacements into account. When are you going to use royal blue LEDs? AquaRays don't have the colours of Reef Beam or Ecolamps. At the beginning of AquaRay development we decided to use standard blue LEDs from Cree rather than its royal blues. This was after extensive testing on the invert systems in our own fish house. Although royal blues produce a much deeper blue and, in theory, would be better for fluorescing corals we found that most species fluoresced far more vividly under the standard blues —mainly due to the fact that the output of standard blue LED is much higher than that of royal blues. More recently we have worked with a leading UK coral reef research laboratory to compare the spectra of both types of blue LED to common corals’ chlorophyll action spectrum as well as their fluorescence spectra. The results confirmed our choice of the standard blue LED on both counts. When are you going to make it possible to control the blue and white LEDs independently on the HD tiles? I want to control blue only. I know that you do a blue only AquaBeam but I just want it in the tiles. This is something that we would love to do. The reason we have not done it with the AquaBeam 1000 is that it has to have five LEDs on each controllable channel. If we were to make the unit with 5 x blue and 5 x white LEDs the overall colour would be too blue. We have however recently released the AquaBeam 1500 Ocean Blue which has 5 x 9,000K white Cree XP-G and 5 x blue Cree XP-E LEDs. The XP-Gs are much brighter than the XP-Es and so the colour temperature balances out nicely. In this case the blues are on a separate channel and so these can be controlled independently. This unit is perfect for keeping nano reefs and larger soft coral set ups. It would be great if AquaRay incorporated a natural moon cycle. It’s not expensive, as I have recently purchased a set of Mooncycle LEDs from Marine Dreams on eBay for £24, plus delivery, and they have the natural 29.53 day cycle programmed into them. Just plug in and go. I am running two Reef White AquaBeam 500 singles on a my 0.6m/2’ cube seahorse tank and three AquaBeam 1000 HD Reef White plus two AquaBeam 1500 XG Ocean White tiles on my 1.8m/6’ marine tank. This was TMC’s recommended set-up and all seems fine. It’s not quite as bright as produced by the two 250 metal halides I used to have, but room heat is no longer like an Amazon rainforest. I would be very dubious of a controlled LED system at that sort of price. This would suggest that the LEDs may not be of a sufficient standard and that their thermal management is not fully thought out. That said, I hope they work for you. The user interface and processor in the current range of controllers does not allow for this extra function. However, an accurate mimic of moon phases is a feature we have thought about adding to future controllers. While we are all for mimicking natural light conditions as closely as possible, we are concerned that a moon phase simulation could result in coral spawning. While this would be amazing, it may not be so good for your tank! I have been using four GroBeam 1000 on my 1.8 x 0.6 x 0.6m /6’ x 2’ x 2’ tank and been really been pleased with the plant growth and light effects these lights give. However, I have had to get three of the four lights replaced due to individual LEDs failing. TMC replaced them immediately which was great, and I was told the failings were probably down to power surges. I wanted to check if this was common and likely to occur again, so I now have a surge protected power board. Will future controllers be more versatile in their programming ability, as I feel the current controllers are very restrictive? In this age of Wi-Fi and iPhone apps, I feel much more functionality could have been used in the current controller. We do not often see failed LEDs on our GroBeam/AquaBeam 1000 and 1500 ranges and because you have had multiple failures this case is interesting. Please contact us so that we can perhaps investigate further. Power surges are one possibility, but it would be worthwhile finding out a bit more about your set-up to see if anything else could be causing issues. Perhaps the way they are mounted is causing a heat build-up? We are looking at improving and adding to the controller range, so please watch this space! I recently bought a twin pack of AquaRay GroBeam 500s for my Aquastabil framed aluminium tank. However, its low profile hood negates the use of any AquaRay mounting systems. I had to use other methods of hood mounting which a week later failed on one of the units. This resulted in one end of the sticks being submerged by about 5cm/2” The unit had a fair degree of water, both in the outer casing and, more worryingly, the inner casing of the LEDs themselves. The unit had technically been used submerged and therefore was out of warranty, and I also had a new piece of expensive kit potentially out of action. I opened up the unit to drain the water, and make good which meant breaking the warranty sticker. I would expect a piece of kit advertised as waterproof would be able to withstand this accidental dunking. In addition, when I opened the unit it seemed that the white/clear silicone/rubber rectangular sealing "ring" had not been positioned correctly. This raises some issues. How would a unit last in an environment, warm and very close to water when the pressure of a 5cm/2” submersion was able to breach a "waterproof" seal. I greatly respect TMC as a great innovative British company and, this aside, I'm very happy with the AquaRays, subsequently ordering another two, twin units. I'm just upset that I had to void, within one week, a five-year guarantee. I would urge anyone who has this type of problem to contact TMC directly. While we cannot help with all problems, we treat customer issues on a case-by-case basis, so it is always best to check. I am also very surprised that there was no suitable mounting option, as the GroBeam 500s and AquaBeam 600s can be mounted directly and securely, without an MMS rail, by screwing into the threaded inserts in the back of the units. This would allow for an extremely low profile. We are confident that the current AquaRay products are all waterproof to IP67 and this has been independently tested (see above picture). IP67 means that under test conditions the light unit can be submerged in 1m/39” of water for up to 30 minutes without ingress of harmful quantities. We have surpassed this in our own testing, however we stress that these units are not meant for use underwater. AquaRay lights are all hand built in the UK and although it is impractical to water test every unit we electrically test and visually inspect all of them. Unfortunately units with bad seals do occasionally get through due to human error and we will replace affected units under our five-year warranty. Anyone in a similar situation should call us as soon as possible and not break the warranty label. We pride ourselves on being quick to resolve issues like this and if we found that the silicone seal was not placed correctly we would have replaced the unit free of charge. If we are informed that a particular return is urgent then we can turn it around the same day of receipt. I’ve been interested in the TMC AquaRay GroBeam 1000 ND lighting tile for a while now, but not been able to get a straight answer to a couple of questions when contacting your company. I have a freshwater planted aquarium built in to a wall cavity in my kitchen. It is 70cm/26” tall with a small footprint of 60 x 50cm/24 x 20”. Space above the aquarium is limited, so these units could be an alternative to the pair of efficient T8 15w florescent tubes I currently have. So is it possible to interface the TMC AquaRay GroBeam 1000 ND lighting tile to be controlled by the IKS Aquastar via, maybe, the IKS SIMMOD 0(1) 10v to simulate sunrise and sunsets, and the moon phases? Our units are not currently 1-10V compatible. This is something we also feel may benefit to our range of controllers in the future, but to add the 1-10V input to the basic light would add cost. If you wish to add light control we have a full range of controllers, although these cannot be interfaced with your IKS Aquastar computer. GHL has made a 1-10V interface for AquaRay for its Profilux range of aquarium computers. I have AquaRays in my 350l Jewel marine reef tank and had the 500 range fitted in December 2009, but all the bulbs started failing. Ian, from the Trop Shop in Grays, Essex, replaced them all for me with the 600 range some months ago and one of the new ones has already gone. Why don’t they make them waterproof, as obviously the new 600 are still not up to the job. However I do like their lighting effect and the added bonus of a downward usage of electric. The failure of the first LED in line on an AquaBeam/GroBeam 500/600 is a problem we have seen only in the last 12 months. It seems to be an installation specific fault because certain users have experienced the problem more than once while many others have no problem at all. Secondly, Cree, the LED manufacturer, has never seen anything like this before. Even the developers of the Cree X-Lamp LEDs have taken an interest. We know it is not an issue with the LED itself, and that the failure is caused by current spikes, but we cannot find the cause of those spikes. Our tests have proved that it is not the PSU, and that even lightning strikes to the mains supply are not passed through to the LEDs. Despite the small number we are talking about we are currently building a small protection circuit into new units to try to combat the issue. This will not affect the price. As for waterproofing please refer to my answer to an earlier question. Since the launch of the AquaRay 500 LED lighting strips do you regret offering a five-year warranty and how much has that cost you so far? Every one of my lights has been replaced at least once in the last 24 months, mainly due to the first LED failing and others following, due to significant salt creep into the unit — even though full manufacturer's instructions have been followed. We saw improvement with the 600 series, however, even those still showing significant salt creep into the units, so fully expect those to be replaced within five years. I view these as 'lights for life' as, when replaced with a new unit, the five- year term starts again and I don't expect to ever need to buy new lighting. This must be costing you!. Big mistake in guarantee terms or big mistake in quality? We have extreme confidence in all of our products, so don’t regret offering the five-year warranty. We don’t shy away from our problems and all have been tackled head on and solved. We are now market leaders in LED aquarium lighting in the UK and Europe, and we also sell into the USA and Australia. With more than 50,000 lights sold worldwide to date we have seen many AquaRay success stories. We continue to improve and add to the range, and we feel that the secret to our success is not only having a great product, but also a top-notch warranty with the service to back it up. As for problems with salt creep the change in AquaBeam 600 design has solved this issue, as long as care is taken. As with any piece of equipment it should be kept clean simply by wiping down regularly. Splashing water onto the units should be minimised because, although the unit is IP67, salt creep is damaging and very difficult to completely guard against. Could you make some sort of wiring hub? I have six AquaBeam 600s on the modular mounting system, but I've got cables everywhere. We have looked at making a wiring hub as we know that this is a problem for some users. Due to design implications on the electronics side we found that the cost of this hub is not much cheaper than our AquaRay MultiControl 8 which will offer control of 8 x AquaBeam/GroBeam 500/600, or 4 x AquaBeam/GroBeam 1000/1500 or a combination of the two. We took the decision not to go ahead because for a small amount more the same thing can be achieved with timing, dimming and storm function built in! Why are the AquaBeam 600s 50cm/20" long? I have a 75cm/30" tank and have to overlap two of them, looking untidy and giving an uneven light spread. When we first developed AquaRay, and more specifically the AquaBeam 500, we based them around the standard tank lengths (i.e. 2', 3', 4', etc…) the 50cm/20" AquaBeam 600 and its predecessor (the AquaBeam 500) are a perfect length for a 60cm/2' tank. Unfortunately there are infinite tank lengths out there and so we had to pick a standard size to work with. I believe we have created the most flexible lighting system available which can be used in its various forms to fit any size of tank. My TMC LEDs went wrong. My local shop's went wrong and then the 6-way controller went wrong when they got that in. That's not good is it? No that's definitely not good! Of course I am not sure which problems you and your local shop had with the lights, but I will try to cover all bases here. As with any new technology there have been some teething problems. The biggest problems we have had have been with the PSUs (power supply units). We found that we had an unacceptable rate of return on the twin output power supplies. This was due to some heat sensitive components being placed too close to other components that can get quite hot. This was not picked up in our initial product tests as it took a long time for this failure to occur. Once the problem arose we were very quick to remedy it by making the casing larger and moving the components apart. I am pleased to say that the failure rate on our new design PSU is just 2% which is more than acceptable for an electronic product. I should point out that even if the old PSUs fail outside of their one year warranty period, they can be replaced very cheaply as we took the decision to subsidise the cost of these. We do not make a 6-way controller but if you are referring to our 8-way controller (MultiControl 8) some of these units had a problem because we were supplied with a faulty batch of PSUs. Due to this problem we took the time to source a new PSU at the end of 2010. Since then, we have had no further failures. There have been other problems with the range however these have represented a very small percentage of our sales, and I will cover some of these issues in answer to other questions here. Where we have had problems we have always endeavoured to be open and honest about them and have always honoured our guarantee as quickly as possible. Why can’t you make a nice looking housing like a luminaire? Surely you could slide them into a nice silver housing and the whole thing would be better? Yes, we could make a luminaire but the difficulty is designing one that can be mass produced and will reach you (the end user) at a reasonable price. We have now developed a tank mounting bracket called the MountaRay. This can be used in conjunction with the MMS (Modular Mounting System) rail to make a sleek, tank mounted luminaire that is fully customisable. The beauty of the AquaRay MMS range is that it is almost infinitely flexible, allowing for mounting in any situation, over any tank. Why don't you get together with Red Sea and produce a Red Sea Max LED? I tried to change mine and killed the tile because of heat build up. The Red Sea Max range of tanks has been hugely successful. However, we aim to produce LED luminaires that can be used on any tank. Heat build up can be avoided if the AquaRay units are given space for heat from the heat sink to escape as per the user instructions. Can you make a PC controller interface and App? I want more control of my LEDS. We are always looking to improve and add to the AquaRay range of products. The next logical step for us is to look at more controllability and a PC interface - this is something we have in the pipeline. As with all new technologically-based products it presents a challenge to get this out to market at a reasonable price and so it does take time. We could have something very quickly but it would cost a lot of money. We at TMC always aim to bring high quality products to the hobby at an affordable price and that is what we will continue to do. Your LEDs don't penetrate very far. Can you produce an LED cannon that spotlights corals? Firstly, I would have to disagree with you about this. Our AquaBeam 1000 HD lights have been used by public aquaria over tanks of up to 3m depth with great success. This is due to the slightly focused beam on these units. Of course we could focus this beam further, allowing for higher PAR levels at depth, but light-spread would then be reduced, which would mean more lights needed over a tank. Also the LED cannons that we have seen in the market go against what we are trying to achieve with the AquaRay range of lighting. This is because they use power hungry LEDs with lower efficiencies which negate the main purpose of LED lighting i.e. to save energy. These LEDs use the same chip technology as any other high power LED, but they have many chips (or dies) crammed into one LED housing, which then also makes thermal management difficult and therefore can cause problems. Until we see another (better) way of tackling this we will not be looking at producing this type of light. Can you do a storm function? Our range of AquaRay controllers already have a storm function built into them which is simply activated by pressing a button. Once the button is pressed it takes five minutes for the lights to dim down as the clouds roll over. Then over a 30-minute period the lights will flash at random intervals to simulate lightning. Finally the lights will brighten back up to the user set level over five minutes. The user can set it when they are about to do a water change – this has been proven to stimulate breeding in certain species of fish. It prevents random flashing whilst you are sat in your living room trying to watch EastEnders! I must first say what a great product, one of my best ever purchases in over 40 years of fiskeeping. Given the speed of technological advance what do you see as the next big leap in reef aquaria lighting? We already have plasma in the USA, is there anything else to look out for? In short – keep watching LEDs! LEDs are already surpassing the lumen per watt ratio of plasma lamps. These plasma lamps also use a lot of power and although the lamp is small, the equipment to run it is quite large. They belong to the school of hobbyists that like to pump as much light as possible into their aquarium; however the future is to provide the correct amount and quality of light to sustain and grow the corals without overdoing it. In this way, energy savings can be made. Of course the conscientious aquarist will realise that the amount of power they use will have a direct impact on the amazing environment that they are trying to replicate in their glass box (i.e. the coral reefs). It is imperative that we only use as much power as we need to and so for the majority of fish keepers the plasma lamp is overkill. The only possible place that it has in the hobby is over large public aquarium-sized tanks. Another possibility for the future is OLEDs. This is a similar technology to LEDs but results in a large but very thin panel of light. It is the same technology that is used in modern mobile phone screens. Whilst lighting class panels have been manufactured, they are certainly not bright enough to light aquariums at this stage. It would provide a nice even spread of light but there would be no shimmer effect and this light could not easily be focused. With energy prices going up all the time, massive amounts of money are being piled into the research and development of LEDs. Indeed, Philips have recently won a $10 million cash prize from the US government for successfully developing an LED product that is equivalent to the good old 60W light bulb. With all of this time, effort and money going into the humble LED I think we will see big things in the future. The only issue we face in the aquarium lighting industry is that the LED developments are mostly aimed at task and building lighting. This means that warm whites are where the R and D is concentrated with the cool whites that are ideal for an aquarium following along a bit later. The reason that we at TMC are able to get our exclusive very cool white LEDs (14000K) is purely because of our early adopter relationship with Cree and the volume that we now buy. As mentioned these aren’t available to anyone else and having spoken to other LED manufacturers including Philips and Osram I have found that they don’t even make LEDs in whites that cool. You can rest assured that TMC will continue to keep its collective ear to the ground and will strive to bring you cutting edge products at a reasonable price. How do I reduce electricity costs on my reef tank? 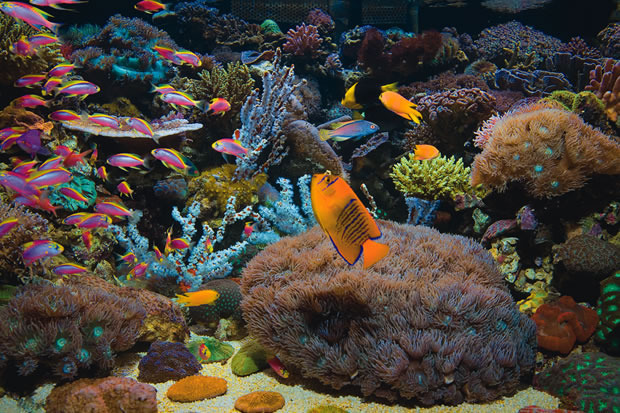 Running a reef tank doesn't have to be expensive, says Jason Scott. If your tank is already set up and running there is little you can do without investing in new equipment. However, if setting up or upgrading, there’s plenty of opportunity to cut running costs. When looking for new equipment compare the watts consumed, as claimed by various manufacturers. These details are not always stated on the packaging, but should be printed on the product. While the most energy-efficient products may initially be more expensive, they could save you several hundreds of pounds over their lifetime. Use this calculation to work out running costs: Watts consumed x 168 ÷ 1,000 x average cost of unit of electric = weekly running cost. As an example, for 50w of consumption, 50 x 168 ÷ 1,000 x £0.15 will work out at £1.26 per week to run. The biggest reduction in energy use can be obtained by changing lighting to LED, especially if currently using T8 lighting with magnetic ballasts. Although their initial cost seems high they will consume around half the power of other types of lighting used for a similar output. With the launch of the latest generation of ultra-bright LEDs there is now a real alternative to fluorescent tubes and power-hungry halides. Equipment that uses less power will also generate less heat, so will reduce the chances of overheating in warm weather — and reduce energy costs even further if you are using a chiller. Moving house can be bad enough, but what if you need to move your fish as well? Jason Scott has some tips. Have plenty of watertight polythene bags for the fish, rubber bands and something to transport them in, like an insulated box or a cool box. Many aquatic retailers can supply you with these. You will also need something in which to transport as much aquarium water as possible. 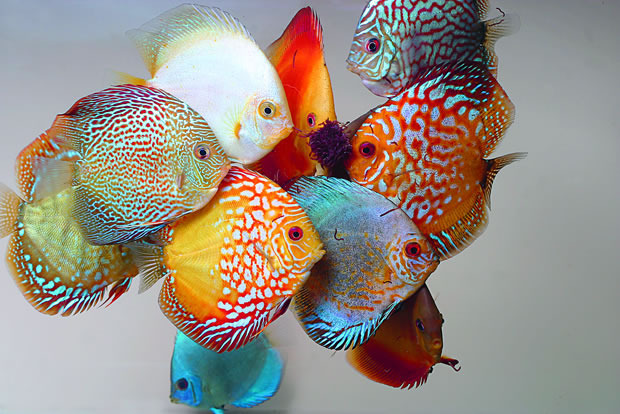 Don’t feed the fish for at least 24 hours prior to the move as this will minimise water contamination while in transit. Half or more of the water should be syphoned into food grade plastic containers to be used to re-establish the aquarium once it reaches its destination. Switch off all electrical equipment half an hour before starting this process. Next remove any decoration and plants as this will make catching fish easier. Pack the fish and plants as detailed later. Now the substrate and equipment can be removed. Do not clean the filter or substrate in tapwater as this would kill vital bacteria necessary for maintaining water quality. If you must clean these, do so in waste aquarium water. Ideally the biological media should be removed from the filter and packed in a similar method to the livestock, but with little water. Before you attempt to move the aquarium, it must be emptied of all water and gravel. Moving an aquarium with water or substrate would not only be extremely heavy, but risk damaging it. The fish should be packed in those polythene bags, taking care to place large or spiny fish separately from others. Where necessary, livestock should be double bagged to help prevent punctures. It is difficult to say how many should be placed in each bag, but certainly fish above15cm/6” should be packed separately. The bags should be filled with approximately 30% water and 70% air, and fastened with rubber bands or nylon tie wraps. Once the fish are packed they should be placed in a dark insulated container, and a coolbox or polystyrene fish box is ideal. Do not open this box until you finally reach your destination, as this will distress the fish and valuable heat will be lost. Avoid leaving this box in direct sunlight or extremes of temperature. When you reach your new house, the aquarium should be set up as soon as possible, using the water removed earlier. Ensure the aquarium is placed on a flat, level surface of sufficient strength, away from extremes of temperature and direct sunlight. Top it up with tapwater, not forgetting to add a water conditioner. Once it is full, switch on all the equipment and wait for the water to reach temperature. When correct, acclimatise the livestock in the normal way before releasing them. Leave the lights off during this procedure and for the rest of the day. Do not feed the fish for a further 24 hours and after this time the fish may be fed lightly. Keep a close eye on water quality, especially ammonia and nitrite for a further couple of weeks and take remedial action if necessary. After this your aquarium should be well on the way to re-establishing itself. Why is LED lighting so expensive? There's quite a lot of LED lighting coming onto the market, but it's not cheap. Jason Scott explains why this is, and looks at some of the advantages of switching to LEDS. This is a relatively new technology and, like all new products, is expensive when first launched. In addition, the LEDs used are not only very bright but have to be a precise spectrum to become suitable for aquarium use. In time, as LED lighting becomes more commonplace, costs are likely to fall. Don’t be put off by the high initial cost. Over the course of their life, which is approximately 50,000 hours, LEDs will cost you far less than any other type of lighting. There is a huge reduction in energy cost as they convert power into light far more efficiently, most using around half the electricity of a fluorescent. Making quick calculations, it is easy to see that LEDs could slash lighting costs. Based on a unit of electricity at 15p each, a 54w T5 will use more than £400 of energy over 50,000 hours. This compares to just £180 for two 12w LED arrays from a well-known manufacturer. In addition, unlike other types of lighting, the lamps don’t need replacing annually — saving hundreds more over the unit’s lifetime. Modifying your lighting for greater output, a practice known as overdriving, can be dangerous. We talk to Michael Barrett, Tropical Marine Centre's lighting expert and qualified electronic engineer. For fluorescents it involves rewiring a luminaire to force a higher current through the tubes. This can be quite dangerous and, strictly speaking, shouldn’t be attempted. It can result in tube explosions and even fire. There are a couple of ways: using a higher rated ballast than the lamp — or wiring ballast outputs in parallel. The first method requires tweaking circuitry. A ballast gives a ‘pre-heat’ current that warms the filaments of the lamp before they are struck. This reduces shock to the tube and filaments. It is larger for higher power lamps and, if the pre-heat current isn’t lowered by way of a circuit tweak, could result in premature failure or even shattered glass. The latter method is much easier, but must be undertaken with electronic ballasts with current limiting circuitry, otherwise there is risk of fire. This involves a ballast designed to run two tubes being wired to run just one, or a four-tube model rewired to run two. Normally an extra ballast would be put in with the same wiring to run the now redundant one or two lamps. This must be done with an identical ballast, otherwise different working frequencies will mean they will be out of phase and can cause failure and possibly fire. In both cases the input to output ratio is not linear. If you double the power you don’t necessarily double the light output and, in most cases, efficiency will drop. The lighting manufacturers normally advise their equipment to be run at their optimal levels. In addition, smaller diameter tubes, such as T5, run at hotter temperatures and are harder to overdrive successfully. Can you overdrive a metal halide lamp? No. The lamps used contain gas under pressure and, if exerted beyond their means, they will fail and possibly explode. The control gear may also be damaged..
You developed the AquaBeam range of LED lighting for TMC. Can you overdrive LEDs, too? Overdriving LEDs is risky! Basically LEDs are current devices, meaning that the chips, or dies, inside react to the electrical current running through them by giving off light. More light will radiate if higher currents are passed through them, however this also leads to overheating issues. This is why LEDs must be run on a current-controlled supply. All LEDs will have a maximum- rated drive current. Overdriving is the process by which a higher than maximum-rated current is pulsed through the LED. The pulsing is too fast for the human eye to register, however it is enough to give the LED the respite it needs. Pulsing has to be extremely precise to prevent causing any damage to the LED. Thermal management is much more tricky. The LED must have a good thermal path — a route for heat to escape — and will more than likely need a larger heat sink to dissipate the extra heat. If the LED is driven too hard the heat will build up faster than it can be dissipated. Overheating an LED will result in either degradation in light output or a catastrophic failure. I’m sure readers will be interested in the overdriving process, but thermal management of LEDs is not an easy process. This is one reason why so many believe LEDs are no good. 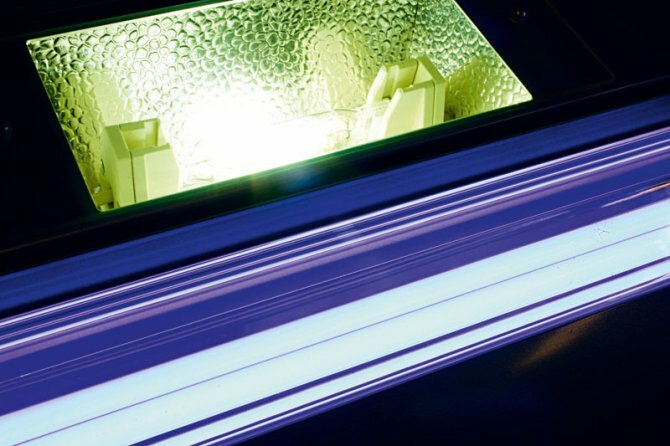 Many LED products have still not been correctly thermally managed, leading to fast degradation and high failure rates. What’s all this about LEDs being sorted into bins when bought? How does a company such as TMC select LEDs? As mentioned earlier, the part of an LED that emits light is called a die, a semi-conductive material which discharges energy in the form of light when an electrical current is passed through it. The colour of that light depends on the type of material used. The materials are generally various compounds of the elements gallium, indium, aluminium, arsenic, phosphorus and nitrogen. The first LEDs were only producing wavelengths in the infra-red section of the spectrum, but, as research continued, red, green, orange and yellow LEDs became available. White LEDs are, in fact, a blue die with a phosphor coating which absorbs the blue wavelengths and gives off light across the whole spectrum. Different amounts of phosphor can be used to produce different types of white light. LEDs are sorted into groups, called bins, to define their flux rating, tint, forward voltage and their colour. Tropical Marine Centre have a good relationship with CREE, a manufacturer of high power LEDs, and as such have secured a non-standard and tightly defined bin selection picked especially for aquaria. These LEDs display good colour rendition while delivering the wavelengths needed to support life within the aquarium. Will we ever be able to use LEDs for UV sterilisation? LED for UV sterilisation is interesting. Some companies are piling a lot of money into research for just this. There is huge potential in that it would offer a low-energy way to sterilise water — a technology with many useful applications worldwide. However it is yet to be achieved, if indeed if it ever will be. This is because UV-C has a shorter wavelength than visible light, meaning that it has a much higher energy. The key is finding a material capable of producing this high energy radiation in large enough quantities to kill off all the bugs in the water. Once that has been achieved there will be another problem to face, in that it will need to be housed in a casing that isn’t going to break down as it is bombarded with this radiation. Then, as with all water sterilisation, what matters is the contact time. If you imagine the time that water comes into contact with the UV-C radiation as it passes over the length of a fluorescent lamp, and then imagine it passing at the same speed over a single LED, it stands to reason that the contact time will not be enough to kill off some, or even most, of the more stubborn bacteria. Therefore you would need a number of UV-C LEDs to do any good and this would end up being very costly. One day UV-C LED sterilisation may become reality but, for the moment, the necessary effective technology is a long way off. So basically you are saying overdriving is a bad thing? I strongly discourage it as it can be very dangerous. Not only could people reduce their lamp life and lighting efficiency, damage their fixtures beyond repair and possibly invalidate their insurance due to sub-standard wiring practices, they could end up hurting themselves. This item was first published in the September 2009 issue of Practical Fishkeeping. It may not be reproduced without written permission. Will using two heaters increase my electricity bills? We often recommend using two smaller heaters instead of a large one - but will it affect your electricity consumption? Jason Scott has the answer. 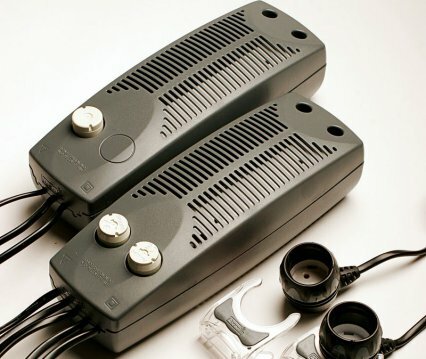 Two heaters in the same aquarium will not increase electricity consumption, as the amount of watts required to maintain the current temperature will remain the same. If adding two heaters because your single heater is not sufficiently powerful to maintain your desired temperature, then adding that second heater will definitely increase your electricity consumption. Note aquarium temperature each morning and evening to make sure a relatively stable level is being maintained. It amazes me how many hobbyists fail to check this crucial parameter, even in very hot weather. Can I upgrade the lighting on my FishPod? Interpet's FishPod aquarium has a plastic base and an unusual lighting configuration. Is it possible to upgrade this? Equipment expert Jason Scott explains. You will find it difficult to find any suitable alternative. They are supplied with a 15w white lamp and a 15w blue lamp and both are low energy with a screw fitting - unusual for aquarium specific lamps. I believe these are unique to the Fish Pod. 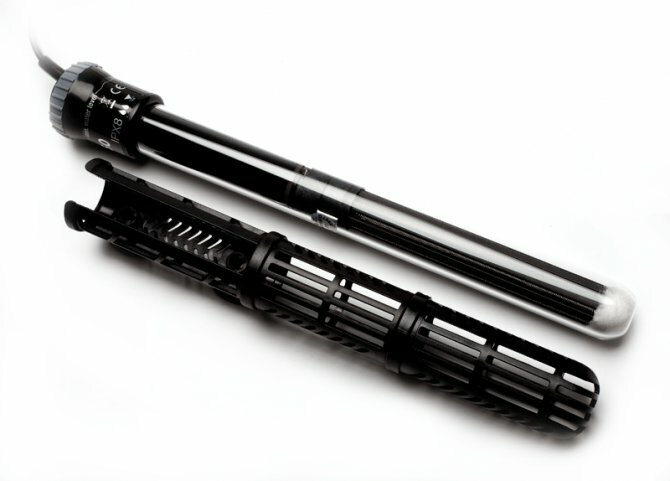 The smallest aquarium specific high output T5 is 24w and 56cm/22” long, so will not fit. I have a 48 l/11 gal Fish Pod set up for some months and it grows plants surprisingly well with the lighting supplied. If upgrading lighting for plant growth remove the blue lamp, used for night viewing, and replace with another white one. This should give ample intensity for growing even challenging species. 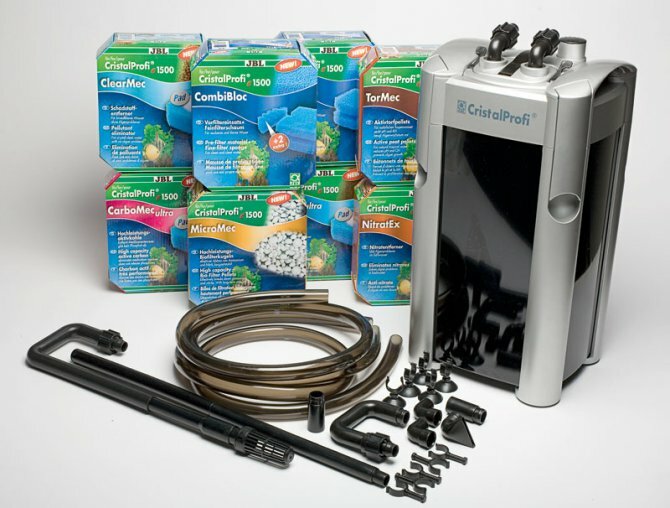 Matt Clarke answers some of the most common questions on choosing an aquarium filter. A filter is essential for removing wastes produced by fish. Without one, the water would become polluted, poisoning the fish and causing them to either die or develop diseases. Most filters work mechanically by trapping solid wastes so you can manually remove them later, and biologically where special friendly bacteria make toxins in the fish wastes into less harmful nitrates that you can remove during water changes. Very importantly, all filters take time to start working, so they’re incapable of removing pollution right at the very beginning – you need to mature them first. How do you mature a new filter? We recommend the more modern ‘fishless cycling technique’ using a product such as Waterlife Biomature, which contains ammonia to act as a food source for the bacteria. After you’ve set up your tank, add the Biomature according to the instructions, and then monitor the water using ammonia and nitrite test kits. After a few weeks, ammonia and nitrite levels will have risen very high and then dropped to zero. When you add a small dose of Biomature without the ammonia or nitrite level rising, the tank should be ready for the first fish. This normally takes four to six weeks. After this maturation period, your tank should be capable of removing the wastes produced by your new fish. Can’t you add fish from day one instead? Some people prefer to mature their tank by adding a few hardy fish such as Zebra danios, allowing their wastes to provide a food source for the bacteria. Although this works, it exposes the fish to polluted water, so it’s not very kind. Then there’s the risk that you might be tempted to add more fish before the tank is ready, which will only increase pollution levels. If you want to mature your tank like this, only add a few fish in the first week, feed them sparingly and don’t add any more until the ammonia and nitrite levels have risen and dropped to zero. Between the end of week one and week four, the water will almost certainly be polluted and you’ll risk killing any new fish, as well as endangering the original ones. What different types of filter are available? The most basic and widely sold are internal power filters, which have a small water pump on top of a narrow box containing a sponge. These sit within the aquarium. You might also see the more old-fashioned undergravel filters in budget tanks, or external power filters in the more sophisticated models. How does an internal filter work? An internal filter is designed to sit in the rear corner of the aquarium with the outlet just below the water surface. 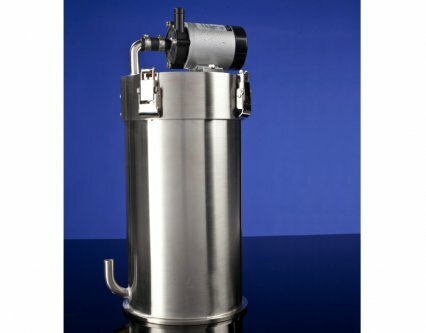 Some tanks, such as those in the Juwel range, come with fitted internal filters. Water is sucked in at the bottom of the filter and drawn through a coarse sponge that traps debris. The sponge contains bacteria, which thrive in the polluted and oxygen-rich water passing through. They convert nasties such as ammonia into nitrite, and nitrite into nitrate. How often should I clean the sponges? Every couple of weeks you need to rinse the sponge in old tank water to remove the trapped debris, otherwise the flow rate will drop and the filter won’t remove as much waste. A slow-running filter might also affect oxygen levels. If you find that it needs cleaning more often, it might be worth thinking about upgrading. Can I rinse the sponge under the tap? No! Don’t do this! Although the instructions might suggest this, it is an extremely bad idea. Friendly bacteria residing in the sponge will be killed by the chlorine in tapwater, rendering the filter inoperable for a month or so while it re-matures. Instead, simply syphon out some water from the tank and rinse the sponge in this. The packaging should tell you what aquarium size the filter is capable of supporting. Look for a filter that is capable of running a tank at least as large as yours, ideally a bit bigger. If you keep messy fish, such as goldfish or cichlids, or you want to run a heavily stocked mbuna tank, you’ll need to consider upgrading to something more powerful. How do undergravel filters work? An undergravel filter is a slatted tray that forms a false floor, allowing a layer of gravel to be suspended above a water-filled space. One or more vertical pipes called airlifts (or uplifts) are attached to the plate, through which water is drawn using a powerhead or an airstone, powered by an airpump. The suction created pulls water and solid wastes into the gravel, and provides a source of oxygen-rich water for all that beneficial bacteria. The filter functions mechanically by trapping debris and biologically by acting as a colonisation site for friendly bacteria. Are they as good as other filters? Undergravels tend to be much more labour intensive to maintain than internal filters (if you look after them correctly), and can cause problems in planted aquaria. However, they are cheap to buy and run, and have a much larger surface area than most internal filters. This means that they are theoretically capable of supporting a greater pollution load once the bacteria have colonised the filter. But if not looked after properly, they can cause a number of problems. What are the advantages of an external filter? As the name suggests, external filters sit outside the tank in the cabinet below. Water is sucked out of the tank and enters the filter, where it is cleaned and then pumped back up to the tank. External filters have much more media inside them than internal filters, so they tend not to need cleaning quite as often. They are also much more versatile, and there are lots of specialist media you can add to them to improve the quality of your water. If you want a really good filter, or you intend keeping something more demanding, an external filter is a good choice. Of course, since they are more sophisticated, they also tend to be a little more expensive. What are carbon pads for? These inserts are used in quite a few different models of filter. They contain activated carbon (a charcoal-like material) capable of removing various chemicals from the water and improving its clarity. Importantly, all products containing activated carbon have a limited lifespan (usually less than six weeks) and must be replaced when they reach the end of their use-by date, as they can leach various nasties back into the water. What is a self-priming mechanism, and why might I want one on an external? A self-priming mechanism is a device for drawing water from the tank into the filter so it can start pumping water back up to the tank. Although it’s possible to run an external without one, these gadgets do make life a little easier. What are the disadvantages of an internal filter? Although fine for basic use, most internal filters house a relatively small amount of media and aren’t very versatile. They tend to need more maintenance than externals and, arguably, they aren’t quite as good at providing top-notch water conditions, especially when you have a lot of fish in the aquarium. If you’re buying an internal filter, always look for one with lots of filter media inside. The more media, the more effective and efficient it is going to be. Internal filters are, however, cheap, easy to install and maintain, and perfectly adequate on small, lightly stocked tanks. Is it easy to upgrade my filter later on? Yes, but it’s important not to simply remove the old filter and replace it with the new one. If you do this, you’ll remove all of the beneficial bacteria. The new filter lacks bacteria, so you need to let it mature before replacing the existing filter. Alternatively, why not leave the two filters running together? This article was first published in the 2006 issue of the Practical Fishkeeping Gear Guide. Can I run my filter in reverse flow? I love experimenting with filtration and wonder if I could connect an external filter to the uplift of an undergravel filter for improved filtration? You can and this sort of thing has been done before. At the end of the undergravel filter boom in the 1980s and early 1990s many were looking to boost performance. An external filter can be connected to an undergravel with a simple reducer aimed at pond piping. An uplift pipe is a standard 25mm diameter and external hoses tend to be 12 or 16mm. Get a 25-16mm or 25-12mm reducer and join them with flexible PVC tubing. Use hose clips and/or silicone for extra fixing. Failing that, Eheim used to produce a reverse flow undergravel kit. From memory, however, it was very expensive. Before setting up, decide whether you want to run the undergravel in standard or reverse flow. The latter is best in terms of filtering as the external acts as the mechanical filter, trapping the waste for easy removal and then pumping the clean water through the gravel bed where the biological filtering will occur. With water pumped through the gravel, detritus should be kept in suspension and removed by the external. However, with external return pipe connected to the undergravel, you lose surface agitation, so combine it with a small pump or air stone for increased gaseous exchange. Using the filter in standard mode with the undergravel acting as the pre filter isn’t so good as the waste is trapped in the gravel and needs to be removed. The filtering capacity of a combined undergravel and external filter becomes massive - so why aren’t we doing more conversions? Advances in aquatic plant culture suggested that undergravels were bad because of the flow of water past the plant’s roots – though I have seen plants growing well in reverse flow situations. For marines, undergravels and biological filters were discarded for much more natural, live rock filtering. If wanting to use reverse flow undergravel for a non-planted, tropical or coldwater situation go for it, but expect people who haven’t kept fish for 20 years to be confused when you explain what you’re doing! What should I do if there\'s a heatwave? It\'s flipping freezing now, but you might need this advice if the weather hots up! Don’t panic in a fish emergency. Stay calm and think clearly. Use a thermometer to measure the aquarium’s water temperature. Assess just how far things have gone out of your fish’s, inverts or coral’s comfort zone and decide on your plan of action from this list. Warm water contains less oxygen and may harm fish and corals if the temperature rises into the 30s°C/86-96°F range. Try to lower the temperature by floating bottles of frozen water in the tank. Lights give off heat, so turn them off temporarily if heat is an issue. Plants will be fine for a day or two without the lights on. For corals use a shorter lighting period and turn off the lights during the hottest part of the day. It’s much harder for fish to get oxygen out of warm water. Fit an air stone, run by an air pump 24/7, or move filter outlets to create more surface agitation. Water temperature can be reduced by replacing tank water with cooler, change water. Do so gradually to avoid further stress and whitespot from the shock. Don’t bring it down by more than 5°C/9°F over a 24-hour period. A household fan can be angled to blow cool air across the water surface. This promotes evaporation and blows away hot air, so can cool the water a little. 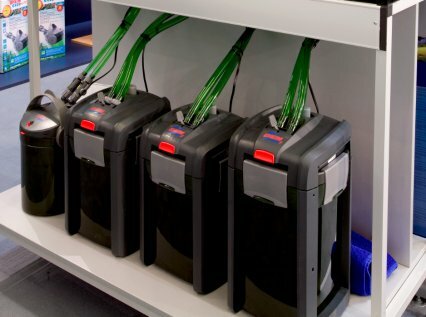 A refrigerant cooler is specifically designed to bring down water temperature in your aquarium. Set it on the LCD display, fit to your tank using a powerhead or external filter and it will control temperatures extremely accurately. If you can’t afford a refrigerant model, go for a less expensive evaporative model. Unfortunately, chillers are always fairly costly, but they’re often required on well-lit systems. Some lights will run cooler than others, especially LEDs. Metal halides run hottest and can even increase ambient room temperature. Multiple T5 sited inside a hood can also cause problems. An open-topped tank is best for heat loss. Simple computer fans are popular, low-voltage cooling methods. Put cut-outs into box hoods and fit two fans, one blowing in and one blowing out. Variations have been specially made for aquatic use and come in twos or fours, with clamps for fixing to the edges of open-topped aquariums. UK summer temperatures have been in the low 30°sC/89-94°F range, regularly in recent years and ironically many of our ‘tropical’ fish won’t tolerate such warm weather. With marines, shrimp are intolerant of rapid rises, as are Acropora spp. hard corals which will bleach. Heatwave-tolerant fish include gouramis, bettas and Amazonian fish that come from sluggish, lowland waters that regularly reach the low 30s°C/89-94°F. Can I add vodka to nitrate-reducing filters? Why would you want to add perfectly good vodka to your aquarium? Jason Scott tells all. The basic theory behind a nitrate filter is that many bacteria should be able to thrive in a low oxygen environment. These convert nitrate into nitrogen gas which is released into the atmosphere. For this to work these bacteria need a source of food, which is typically either sulphur or carbon. Sulphur nitrate reactors use special sulphur beads to provide the food required. Conventional nitrate filters need to be dosed with a carbon source, and vodka is the most popular one. This is normally diluted. Vodka can also be added to directly to the aquarium to reduce nitrate and phosphate in a process called assimilatory reduction, but this is strictly for the experts. This is a very complex topic, so if considering it I advise you to carry out some further reading.